There is a long-standing history of cooperation between Ecuadorian and Flemish higher education institutions. After nearly 20 years of successful cooperation, Ecuador remains one of the main partner countries in our portfolio. Since 2003, we have spent over € 19 million in cooperation programmes with Ecuador, including 2 long-term Institutional University Cooperation programmes with the Escuela Politécnica del Litoral (ESPOL) and the University of Cuenca (UCuenca). 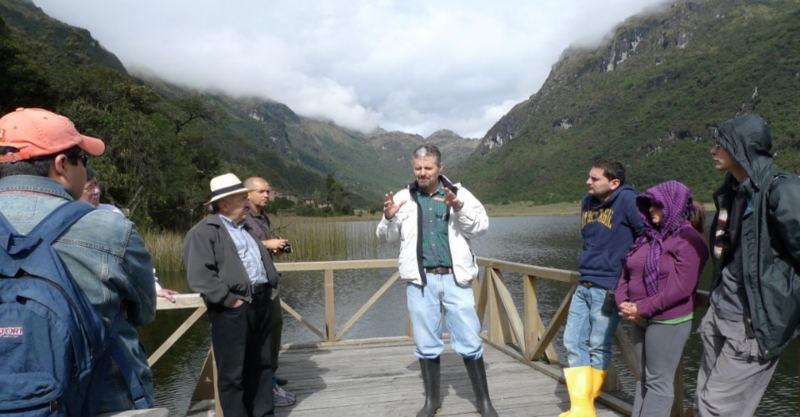 The outphasing IUC programme with UCuenca and a national Network in Biodiversity coordinated by ESPOL and 3 other Ecuadorian universities are the cornerstones of the Ecuador country programme. “Buen vivir” through integrated health care: optimizing intercultural collaboration in rural areas in Ecuador Improving Ecuadorian child nutrition by using mango by-products as potential sources of bioactive compounds Food standards and sustainability in the cocoa supply chain in Ecuador Enhancing the social value of the circular economy in Latin America A combined omics and bioinformatics research approach to improve spontaneous Ecuadorian cocoa bean fermentation processes Innovative governance systems for built cultural heritage, based on traditional Andean organisational principles in Ecuador. Biodiversity/natural resources. Sub-themes: Biotechnology; Biomedicine; Energy and agricultural production systems. Education. Sub-themes: Educational research and problem based learning; Research based education; Teacher training; Ph.D. training. Health. Sub-themes: Health system and public health; Family medicine; HIV. Social sciences. Sub-themes: Security issues; Migration and intercultural topics. University management and issues related to strengthening of academic skills.Sub-themes: Scientific writing; Statistics; Academic English; Library and ICT skills. Institutional capacity building. Sub-themes: HR; Educational and research policies; University management.